Silver South is a duo combination of a stylish didot-style serif font font and a cursive handwriting one created and published by Sam Parrett, an UK, Bristol based type designer. Using contrasting hand and geometric lines that work in harmony, Silver South comes in 4 styles. 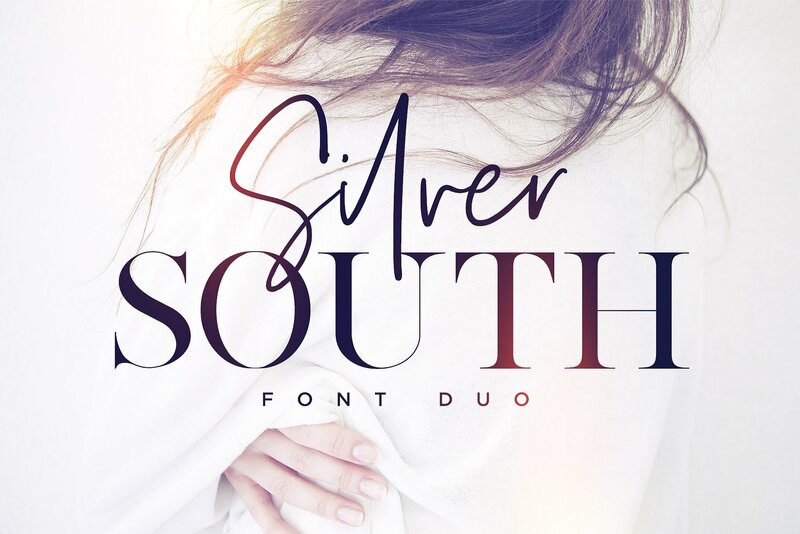 Silver South duo fonts look great on logos, holiday cards, social media, wedding invitations, advertisements and more. Silver South has also multilingual support that will prove to be very useful for all local designs. You’ll love Silver South duo! A font description published on Tuesday, May 22nd, 2018 in Fonts, Sam Parrett by Andrei that has 2,337 views.